My second full collection, At or Below Sea Level, was selected by Vidyan Ravinthiran as a Spring 2019 Poetry Book Society Recommendation. My poem, ‘Footnotes to A Marriage,’ from my collection At or Below Sea Level, was shortlisted in the Aesthetica Creative Writing Awards. My poem ‘The Butterfly and The Stone’ from my collection, At or Below Sea Level, won joint first prize in Shooter Literary Magazine competition. My poem ’12-6 Elbow Strike’ from my latest collection, At or Below Sea Level, was longlisted in the 2018 Troubadour Poetry Prize. Two poems from my collection At or Below Sea Level: the title poem and ‘Oneironaut’ were highly commended in The 2018 Poetry & Psychoanalysis Competition, in conjunction with Nine Arches Press, and a further poem, ‘If You were More Horses,’ from the same collection was longlisted. Second Prize for ‘Juno’s Augury’ in the Cafe Writers’ Competition 2017. Longlisted for ‘Elegy with Thirteen Scarecrows in A Four-acre Field’ in the Tongues & Grooves Prose Poem Competition 2018. 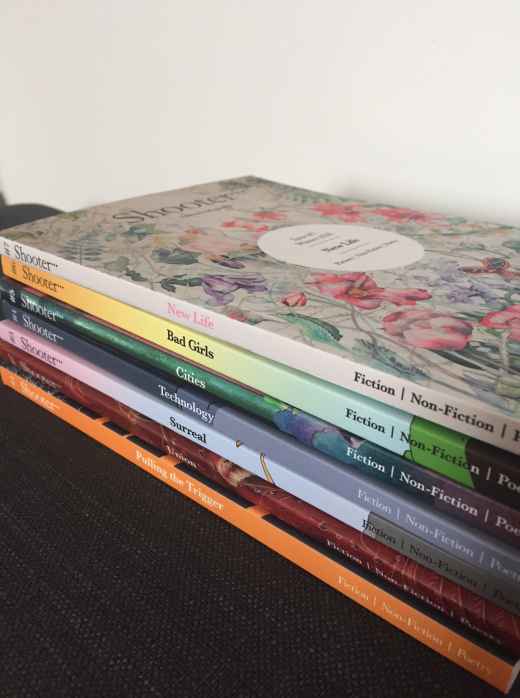 I was highly commended in the Cafe Writers Pamphlet Commission Competition, having made it to the longlist, then the shortlist of a final six pamphlets. I was delighted to be highly commended — this result has given me a lot of encouragement with my new project. I submitted the pamphlet in Sept (four months ago) and since then, I’ve been considering the idea that the theme needs the space of a full collection. As such, I plan on developing it from pamphlet to full collection over the next couple of years. Third Prize for ‘Gravid,’ in the Winchester Poetry Competition, 2017, judged by Sarah Howe. Sightings won the 2017 Michael Schmidt Award for best portfolio. ‘Boy’, poem, highly commended in the Forward Prize and published in The Forward Book of Poetry 2018. ‘OED Confessional Notes’ commended in the Magma Editors’ prize (for poems of 10 lines or less). ‘Nadezhda,’ SECOND PRIZE in the 2017 Inspired by Film Competition, judged by Maura Dooley and Heidi Williamson. ‘Game’ (poem), finalist in the Cardiff Women’s Aid Creative Writing Competition. © Elisabeth Sennitt Clough, 2019.